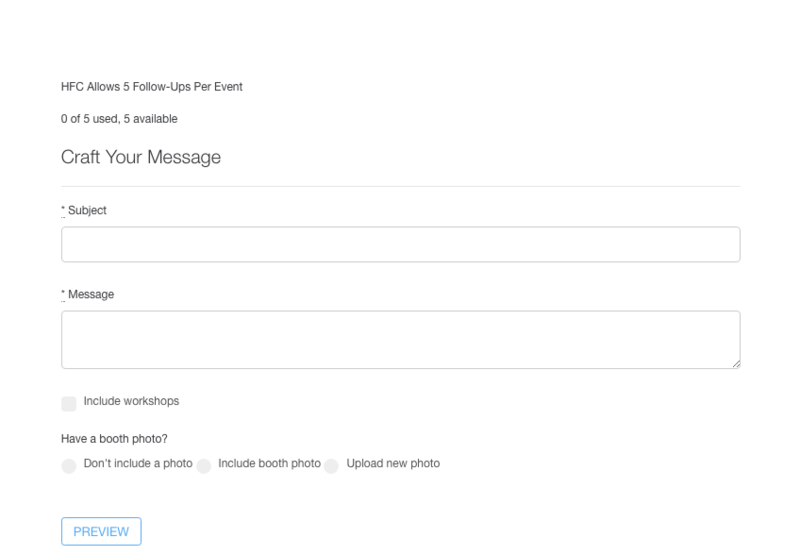 The follow-up message feature allows you to reconnect with the host after their health fair. We find that many vendors have presentations, workshops, lunch 'n' learns, services (1-on-1 nutritional counseling), screenings, etc. that they can offer to corporations outside of the company's health fair. We designed this feature, so vendors have another opportunity to start a relationship with these companies and potentially generate revenue or leads from the connection. There is a price for each follow-up, as there is a significant value from following up with the host of the health fair. 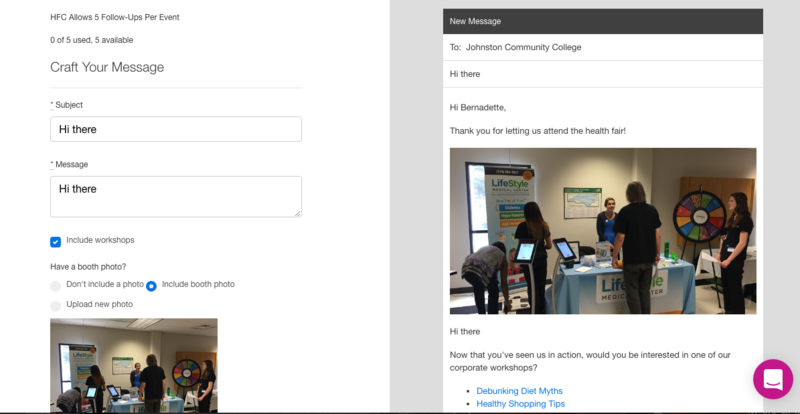 This connection is going to lead to many more opportunities outside of the health fair (i.e. lunch 'n' learns, screenings, and other services). Take advantage of the follow-up feature within 24-48 hrs after the time of the health fair. And remember, HFC only allows 5 vendors per health fair to follow up with the host. Meaning, not every vendor is going to get to message the host and it's on a first-come, first-serve basis.